Hats in stock ship within 3 business days custom orders ship in 2 - 4 weeks. We will do our best to accommodate rush orders, so please contact us if you require your hat sooner. You may shop at Hive Mind Millinery with the utmost confidence. All online payments are made through Paypal to offer safe and secure credit card transactions for our customers. Your card details are not shared with Hive Mind Millinery. Hive Mind Millinery will not share your private data with anyone. If for any reason you are not completely satisfied, you may return online orders within 7 days of receipt. Unfortunately we are unable to accept returns on custom hats as they are made specifically for the client with full consultation prior to and during manufacture. 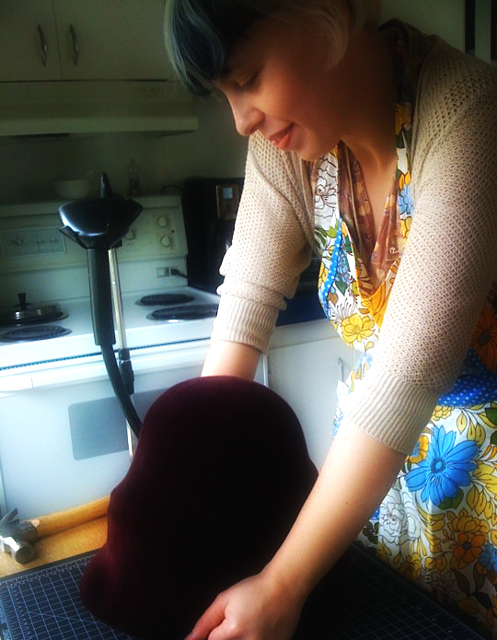 Hive Mind Millinery offers a free, no-obligation consultation service for custom orders. A non-refundable 50% deposit is payable at time of order, with the balance due on completion.